"Our customers love it. They love it... 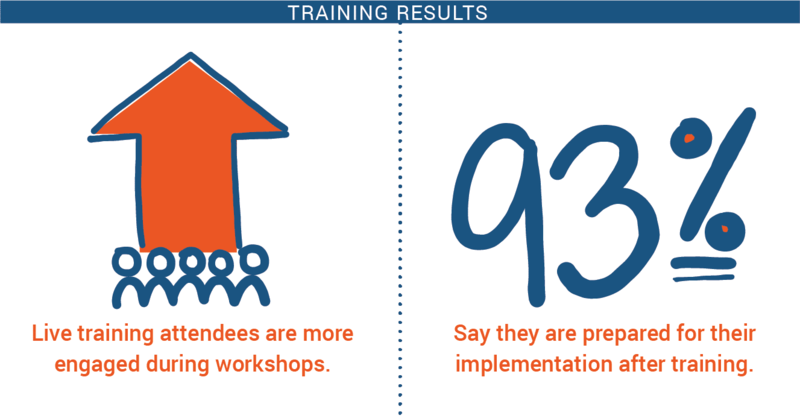 Surveys show that after training, 93% of our customers are prepared for their Adaptive Insights implementation. And we create all of our content in ScreenSteps." Adaptive Insights, a Workday company, is a SaaS business that lets people in companies collaborate, gain insights, and make better plans for finance. It has 4,000+ customers and many more end users who need to learn how to use its suite of powerful tools. Diane is the Sr. Content Developer for Education & Development at Adaptive Insights. She is on a team of three, and her team is responsible for creating all of the training content for live training sessions during the Adaptive Insights user conference where instructors train around 1,000 end users. That ends up being a lot of training content to create. And using Word is not very efficient. For the past few years, we’ve done live training sessions at our user conferences. We used to use Word for all of our training documentation. As you can imagine, creating all of the content takes some time and we only had enough time to create the instructor guides, which we then handed out as hard copies to our instructors as well as to all of the “students” who were attending the live training session. Well, that wasn’t ideal because then the students could see all of the discussion points the instructors were going through and the students just kind of zoned out. Ideally, we would have liked to have created an instructor guide for our instructors as well as a separate exercise guide specifically for the attendees. But with Word, that just wasn't going to happen. Diane and her team are also responsible for creating content for self-paced training that is managed in Litmos for over 9,000 end users and and 1,500 partners. 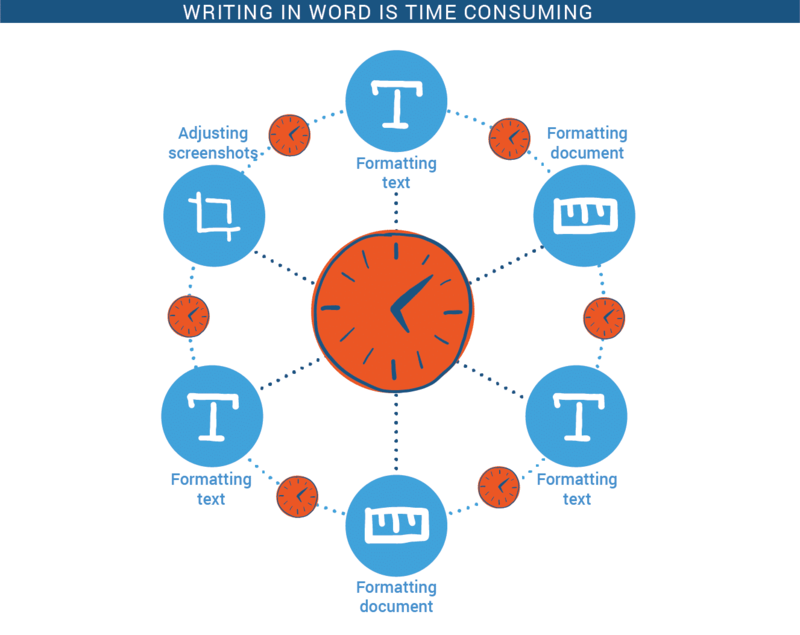 Creating and managing visual training material in Litmos and Word wasn’t ideal. Originally, Diane’s plan was to create an online knowledge base with ScreenSteps. One of the reasons we bought ScreenSteps was because we were thinking that customers would login to the ScreenSteps knowledge base and consume the content online. But our customers prefer PDFs for training. So, while we don’t send users to the ScreenSteps knowledge base to view content online, we still find the authoring incredibly valuable for us as a team because we can collaborate and organize all of our content then publish it as a PDF. ScreenSteps helps us in the beginning during the planning phase all the way through to execution. When we’re going to develop a course, we begin by writing an outline in ScreenSteps––it’s so much easier to work in as opposed to Word. We then build out each article as an exercise or as a guide for the instructor. We have been using ScreenSteps nonstop since we’ve purchased it. Diane's team creates content in ScreenSteps and exports it to PDF for two different training initiatives: Live Training and Self-Paced Training. Each year, Diane’s team is responsible for creating training content for breakout sessions during Adaptive Insight’s annual conference. During the conference, about 1,000 customers will go through an instructor-led session. Before, the instructor and attendees would share the same instructor's guide because it was too time consuming to create two separate guides using Word. But with ScreenSteps, Diane’s team can create an instructor’s guide AND a reference guide for attendees. For the very first time last year at the user conference we had instructor guides AND student guides for the breakout sessions (as opposed to just handing everyone an instructor guide). What we did was create the instructor guides in ScreenSteps then duplicate them and strip out all of the discussion points so that the students just had a reference guide. Then we printed the guides out for attendees. 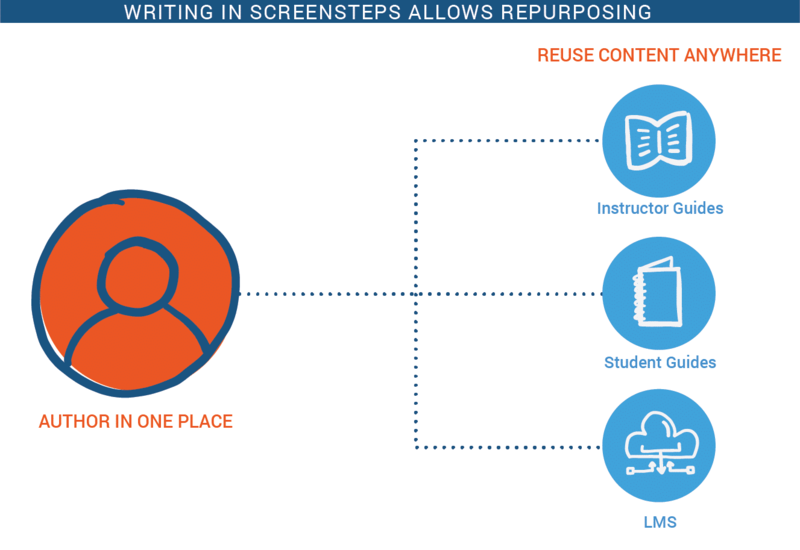 Separating out the instructor content from the end-user content made a huge difference. The sessions were much more engaging and everybody liked how interactive the sessions were. Diane’s team loves how easy it is to repurpose content in ScreenSteps, making her guides more versatile. Attendees love how engaging live training is during the conference. Diane’s team also uses ScreenSteps to create training exercises and guides self-paced training. Her team exports content as a PDF and uploads it to Litmos. We provide self-paced training for all of our customers. For example, new customers are required to take a course on how to implement Adaptive Insights. This prepares customers to work with our implementation team so that implementation is a smooth process. Our training content is made with ScreenSteps. We do have Litmos knowledge checks, but the content is all ScreenSteps. We export everything out as PDFs and then upload it to Litmos. Diane is a talented content developer who clearly knows how to write great training material. ScreenSteps has simply made it easier for her to do awesome work, and do more of it. Her customers feel more prepared to use Adaptive Insights from the self-paced training. Our customers love it. They love it... Surveys show that after training, 93% of our customers are prepared for their Adaptive Insights implementation. And it shows! Our implementation team has told us that it makes their job easier, which decreases costs for us and for our customers. Diane is also able to recruit more help during the live training sessions because her instructor guides are so detailed and complete. For our live training sessions, our education team needs help running the training––we’re only a team of three. Well, because all of the information is in the guide for the instructor, we can get anybody to instruct. We have a subject matter expert come in the day of the training, look through the instructor guide, and they are able to deliver the training right away. And the "students" attending the live training get more engagement and interaction because their reference guides are minimal, and don't include all of the instructor's notes and key points. The sessions become more meaningful, too, because of the interaction between the instructors and the students. Before, students and instructors had the same workbook. Well, what’s the point of the instructor if the students have all of the answers? When only the instructors had the key points to hit on and discussion points they can bring up, that got everybody engaged. And that just wasn’t possible for our team before using ScreenSteps. All around, customers are more prepared to use Adaptive Insights and the Adaptive Insights support team is better able to serve customers because of the work Diane is doing with Screensteps.